Look at the cover of any magazine and you'll see fabulous brows, and not a single one was left up to Mother Nature. Properly arched brows lift the eyes and bring balance to your features. Did you know Color is just as important. Whether you need them brightened to blend with your hair's highlights or toned to give a fuller appearance, brows are our most overlooked asset. Our Stylists can help you create the right look for you! Both Bonded & Clamp (pic) options available. Create fullness- choose natural colors in shades complimentary to your own haircolor. Enjoy a Pop of Pizzazz -with bright colors such as Fuchia, Purple and Blue without the commitment of haircoloring. All our extensions are 100% Human Hair. Shampoo, dry and flat/curling iron just as you would your own hair. Sections are secured for a hold that lasts up to 3 months. Brights are priced at $3 per strand. Natural colors are sold in lots of 20 and require a one week consultation and full payment is due at that time. Appointments are also recomended to insure safe removal. 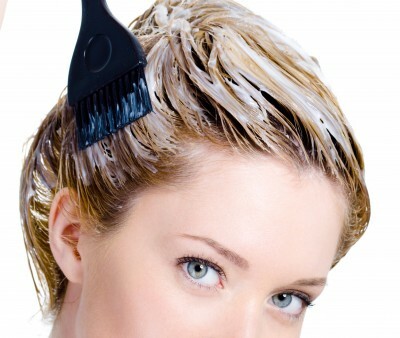 Revive your dry and over-processed hair with this hydrating service. 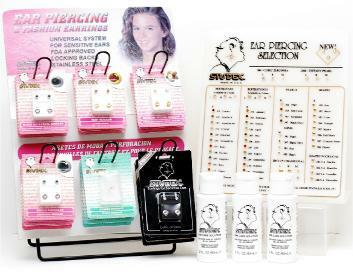 Free Ear Piercing with any earring purchase. Prices vary. Many styles to choose from. Special orders available.